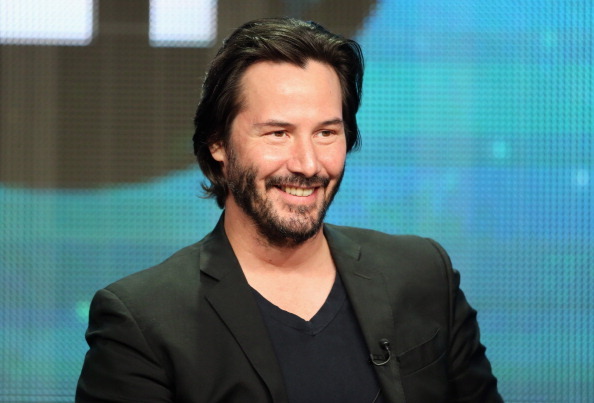 As if all the John Wick action wasn’t enough, Keanu Reeves has said he’d be interested in playing Wolverine. The actor has had his fair share of memorable roles in the past, and while he’s dabbled in the sci-fi world as Neo in The Matrix, Reeves has never ticked ‘superhero’ off his list – but he’s keen to give it a try. The 54-year-old spoke to ScreenGeek alongside Alice Eve, who is starring with Reeves in their upcoming film Replicas. Though the film is about a neuroscientist working on the human brain, the stars somehow got to talking about starring in a superhero movie. I think appearing in a DC or Marvel film is simply a must for actors in Hollywood these days. If you’ve not been a superhero, are you even an actor? The interviewer recalled a time when Reeves had supposedly been unable to take the role of Wolverine or Batman, but the actor corrected them and explained the roles were actually already filled at that time. No it wasn’t that I couldn’t take it, it was cast. We have John Wick though! What can he do; he can’t be a cheater! You can’t cheat on John! But it seems Wick’s drama just isn’t enough for Reeves! Though Hugh Jackman’s Wolverine is barely in the ground after the actor ‘retired’ as the superhero after Logan last year, the interviewer prompted Reeves to think about who he’d play now the roles were open. I think deciding between Batman and Wolverine is a difficult choice. Batman has a lot of cool gadgets and vehicles, but Wolverine does look quite awesome when those claws shoot out. Reeves obviously didn’t need to weigh up the pros and cons though, because he seemed pretty sure of his answer as he admitted he’s interested in having a go at playing Wolverine. Of the two, I’d love to play Wolverine. Reeves would certainly have some big boots to fill after Jackman’s portrayal of the superhero, but it would be interesting to see a fresh face as the character! Fox’s next X-Men movie, X-Men: Dark Phoenix, is set to start a new chapter in the long-running series, writer and director Simon Kinberg says. I see it as a new chapter. I see it as taking the franchise in a different direction tonally. And that doesn’t mean that the next one will have the same tone, it just means that the next one can have a different tone. We’ll have to see if there’s any room for Reeves to appear as Wolverine at some point in the future!